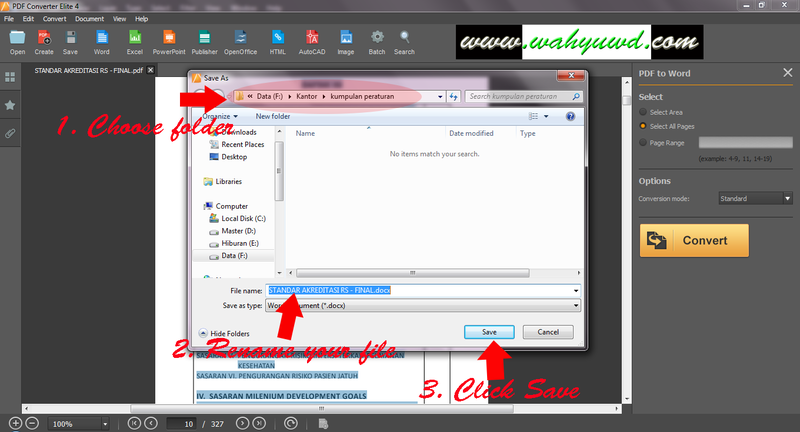 Hello wahyuwd.com Readers, in the previous article I have write about easy way to convert any files into PDF file. And now I’ll share my experience about how to convert PDF file into any file format such as Word, Excel, PowerPoint, Images and other format. In this tutorial, I’ll use PDF Converter Elite to change PDF file into any file format (Word, Excel, PowerPoint, Images). 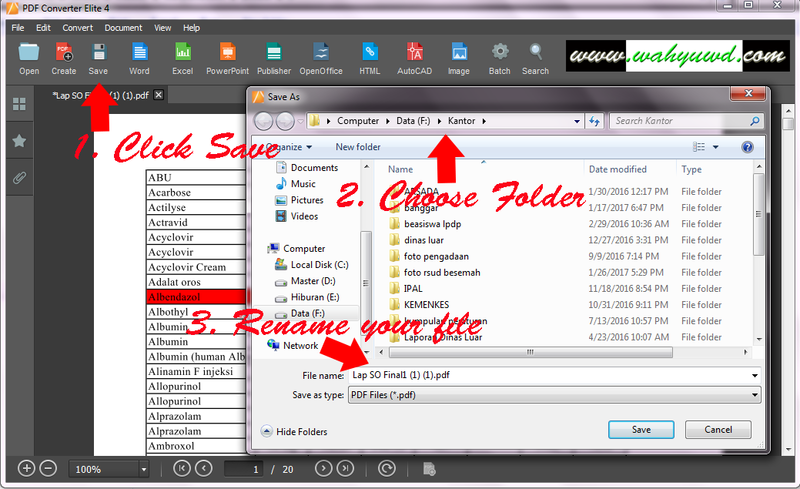 Choose folder that you want to save your file and then give a name to your file. Wait until converting your file finished. That’s All, Thanks for visiting www.wahyuwd.com site. 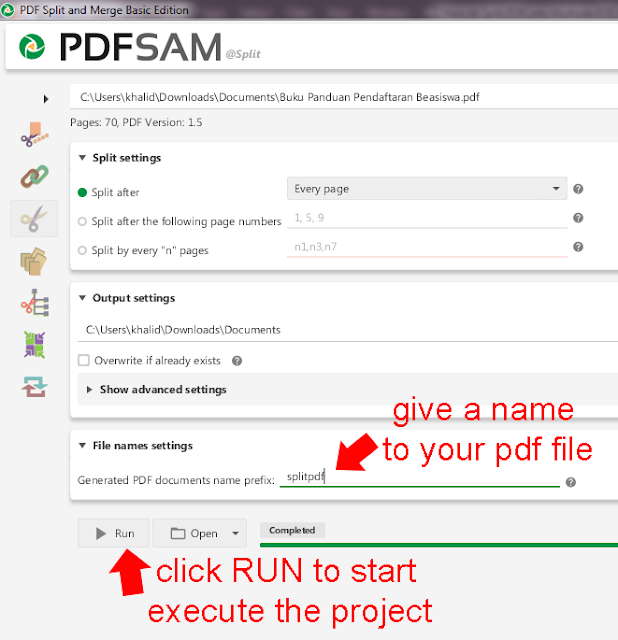 If you still have a problem converting your PDF file into Word, Excel, PowerPoint, Publisher, OpenOffice, HTML, AutoCAD, and Image. Please feel free to make a comment here or contact my email at contact us page. 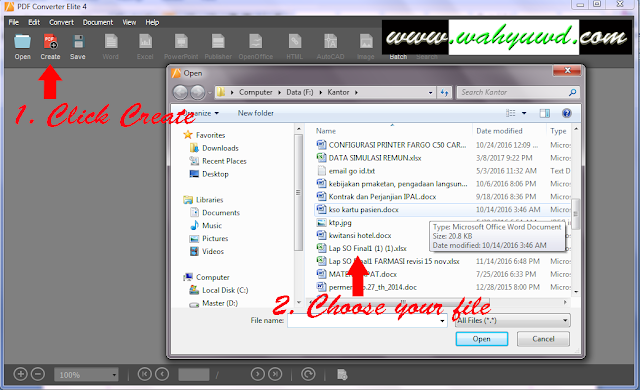 Hello wahyuwd.com readers, as an officer at the busiest company sometime we must sent our file to our clients as a PDF file. 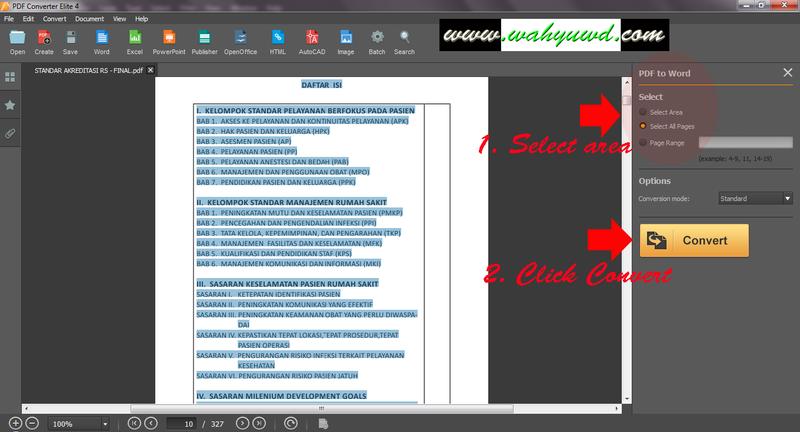 The problem begin : How to convert word file into PDF? 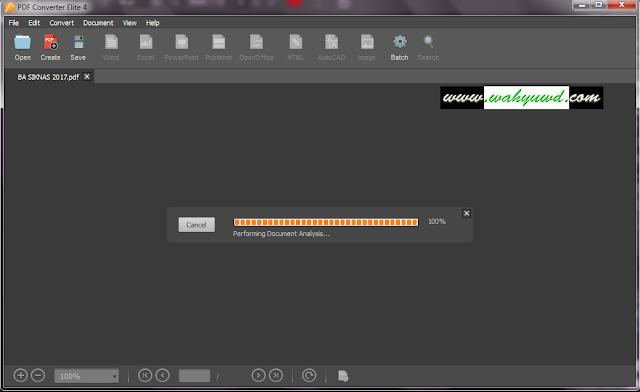 How in this world I can convert any files into PDF file?? At last, after very long time spending my precious time I finally found the best solution for that problem. 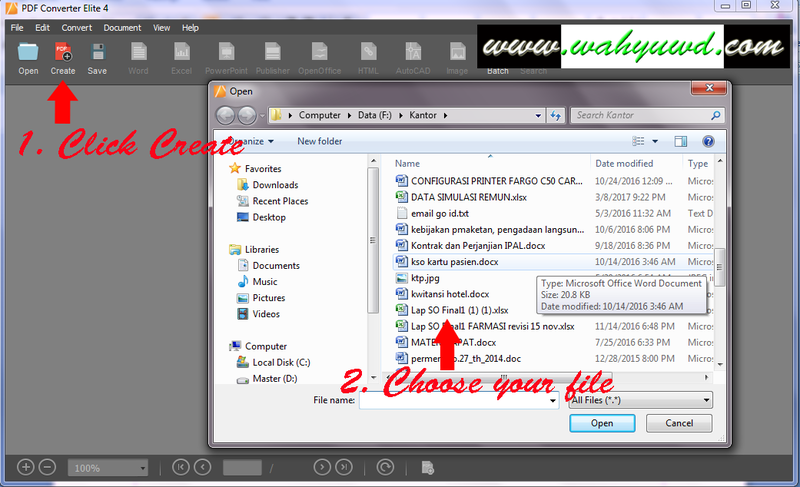 In this session I’ll share my experience about how to convert any files such as word, excel, powerpoint, open office, HTML, AutoCad and Image into PDF file. 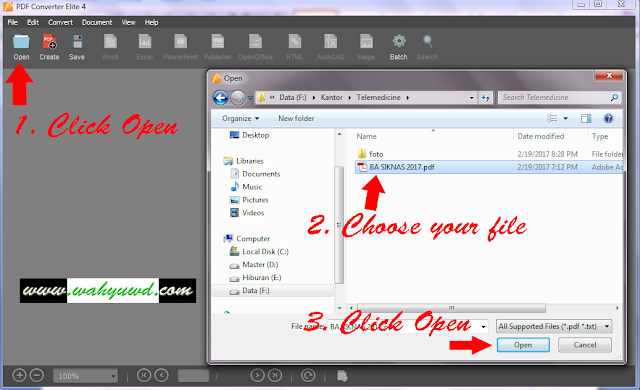 There are so many applications that can convert word to pdf, but in this tutorial I choose PDF Converter Elite to do that job. Click Create and choose any files (word, excel, ppt, txt, image, etc) that you want to convert to PDF file. 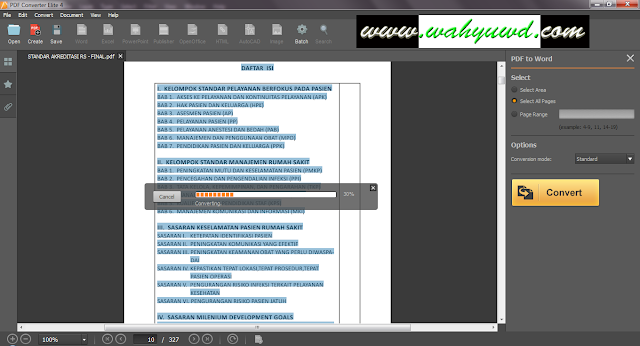 That’s all, thanks for visiting www.wahyuwd.com site. If you still have a problem converting your file (word, excel, powerpoint, image) into PDF file. Feel free to comment here or you can email me at my contact. I’ll response your problem as soon as possible. Hello wahyuwd.com Readers, in the previous article I’ve write about how to merge Multiple PDF File into One File. 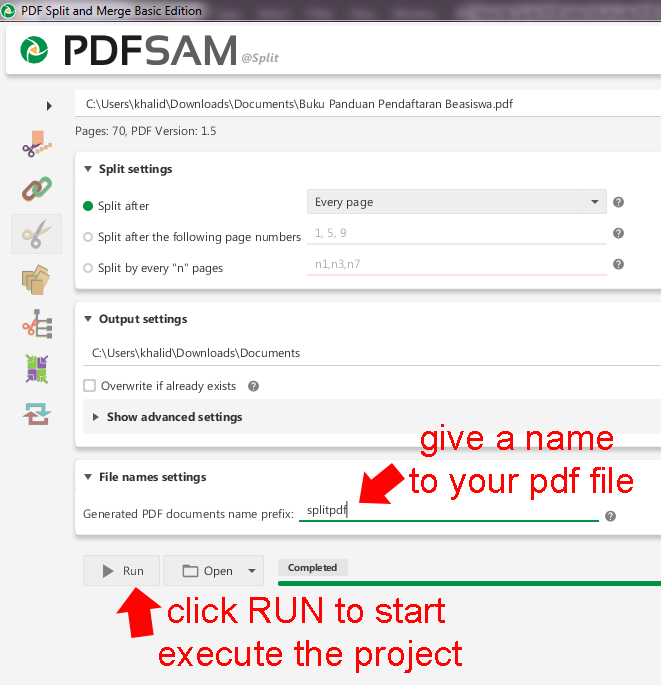 And now I will share a tutorial about How to Split or Extract PDF file into specific page that you want it. 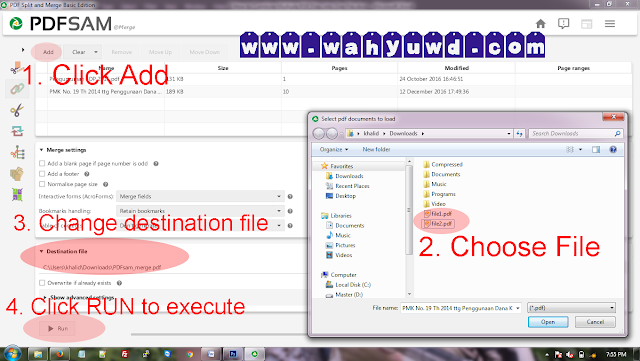 Almost every day I must split PDF file into a multiple file needed for the agency reports. I used great free software to do that. 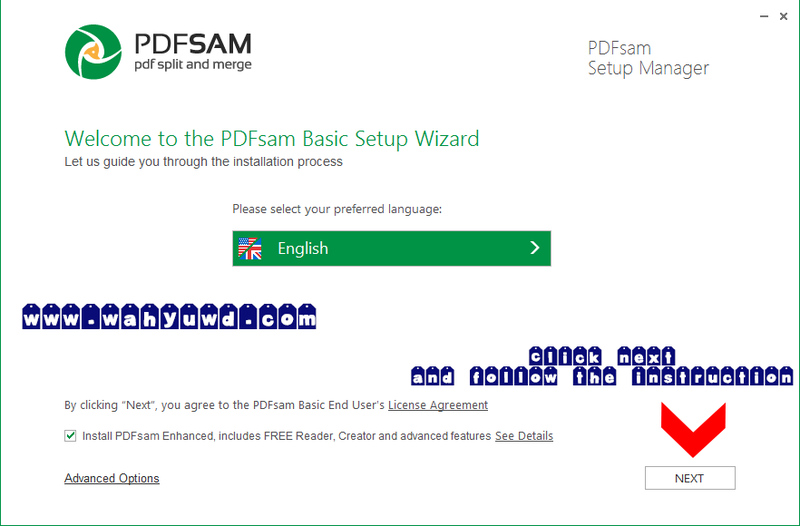 The software is PDFsam. That’s All Dude, If You have any question or still have a trouble about this tutorial. Feel free to write a comment here. I will response it as quick as possible. 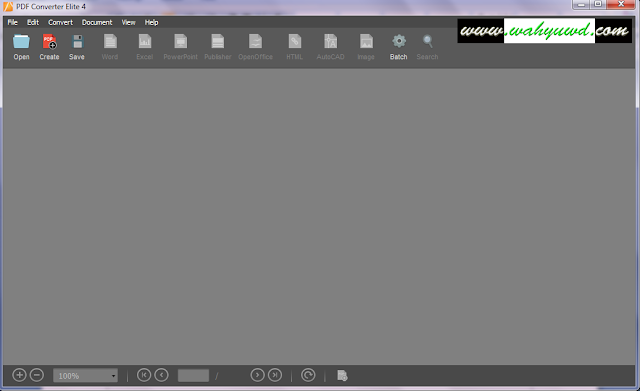 Starting from many of my offices friend who asks me for help to combine their separate PDF files into one file. My Journey Begins. I have spent many times to search the best software that can help me to combining my PDF files into one document. There are many ways to merge our multiple PDF files, we can use online or offline software. 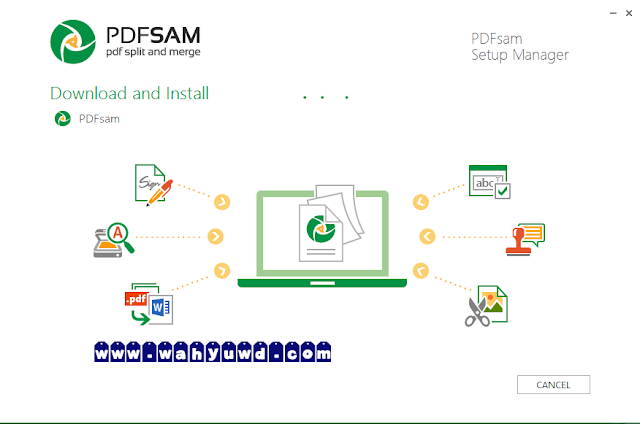 After a thousand years searching, At Last I’ve found the best software to combine multiple PDF to one file and what make this software very special for me? Because I can do it OFFLINE and especially it’s FREE. 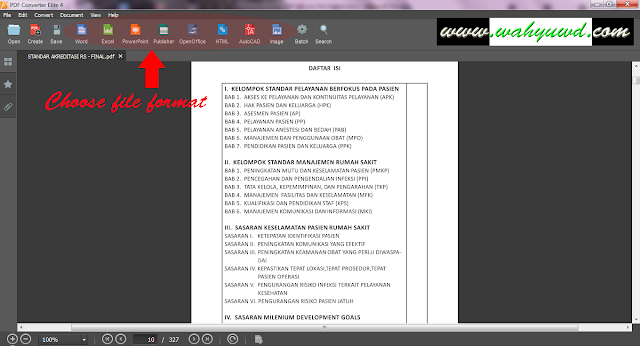 As you can see at the picture, this software not only can merge your pdf files, but also can SPLIT, ROTATE, EXTRACT, and RESIZE it. Okay that’s all, thanks for visiting my web. If you still have trouble with this tutorial, please feel free to write a comment here. Regards, wahyuwd.